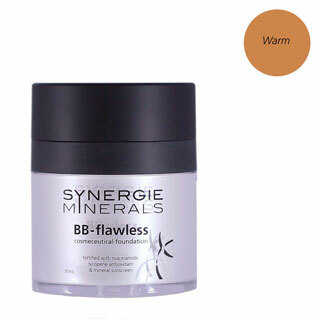 Truly a groundbreaking BB liquid foundation (SPF 15), 30ml. 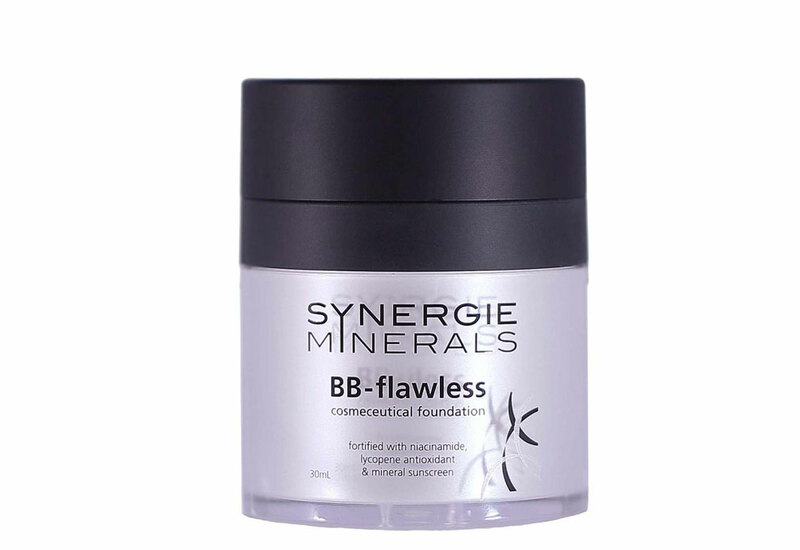 A light textured liquid mineral base with zinc oxide/ titanium dioxide UV protection, niacinamide to address skin hydration and pigmentation, and tomato-derived Lycopene, which protects the skin from environmental ageing. This product is a serious cosmeceutical treatment makeup. Key Ingredients: Niacinamide – active cosmeceutical able to increase hydration levels, minimise pigmentation and regulate oil levels in skin. Zinc oxide and Titanium Dioxide – provides natural broad spectrum sun protection and luminosity. Zinc oxide also reduces skin inflammation. Application: Simply press down on lid to dispense a pea-sized amount. 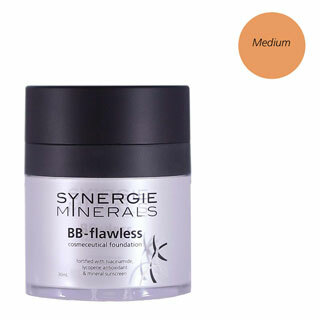 For best application, apply with Synergie foundation Maxibrush in firm circular motions. For added coverage if needed, finish with Second Skin Crush Loose minerals.